Paragon Chevron – PP1 blends precision cutting and surface sculpting to create rhomboids with a tapering angled relief. 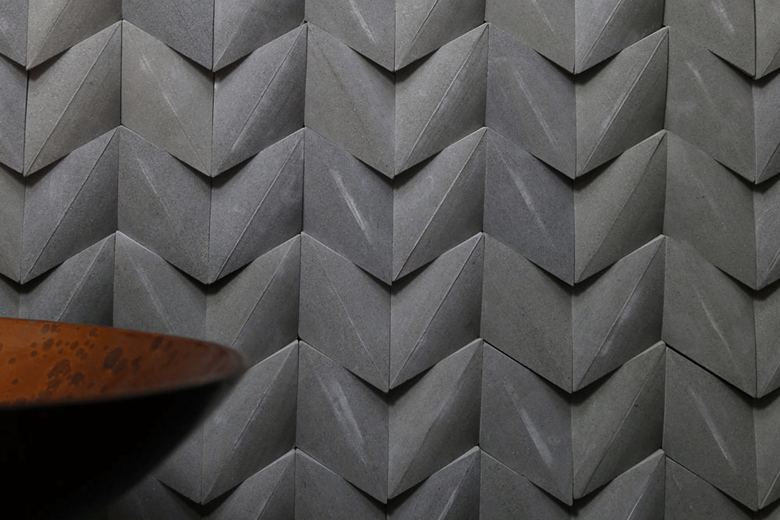 The unique pieces are placed in an angled layout to create a tile that interlocks, resulting in a unique repeating chevron pattern that creates a distinctive surface for walls. Available in our popular Sandstone Mint colour and in the stunning new colour Sandstone Ocean.